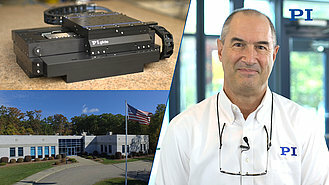 Inspection tools in the semiconductor industry, laser alignment and adjustment tools for the next generation of extreme ultraviolet lithography (EUVL) require highly accurate motion, often in all 6 degrees of freedom. Parallel kinematics structures provide an elegant and highly flexible way to achieve precise multi-axis motion. 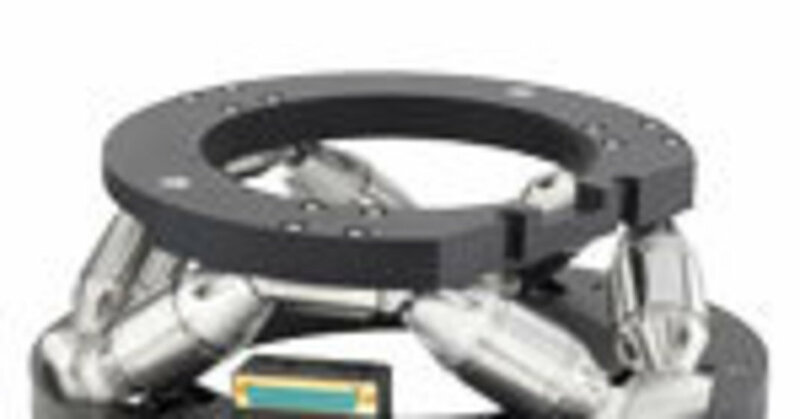 Different designs have found successful applications in 6D precision positioning applications in medium and ultrahigh vacuum, among them Stewart Gough motion platforms and a combination of planar and tripod systems. 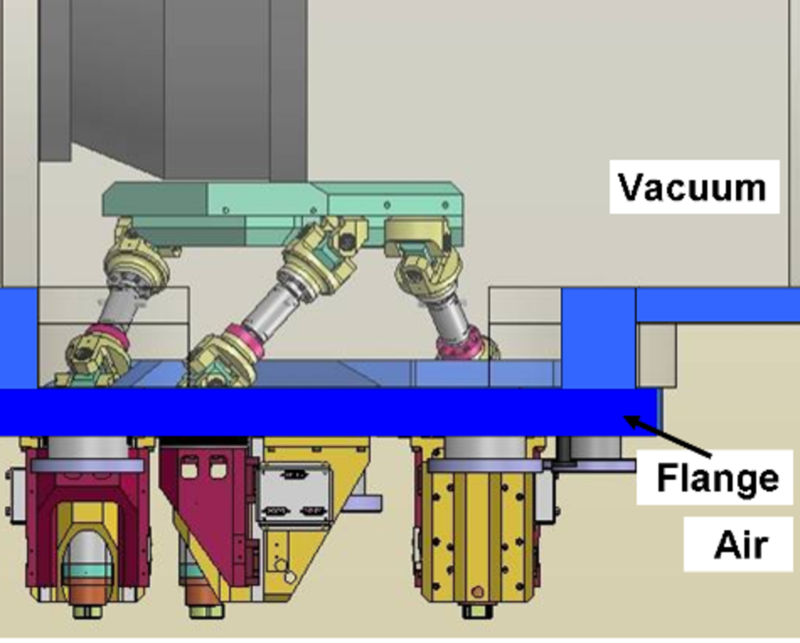 In addition to positioning and alignment, parallel kinematics structures are also suitable for active multi-axis vibration cancellation, such as shown with an example of a fixed strut hexapod with its active drives placed outside the vacuum chamber. 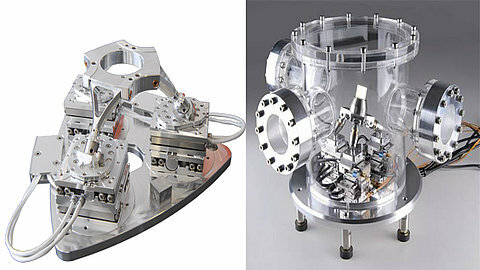 An inspection tool for qualifying reflective optics was designed based on a hexapod system. The hexapod platform is placed inside the vacuum chamber and carries the freeform-shaped test mirror. 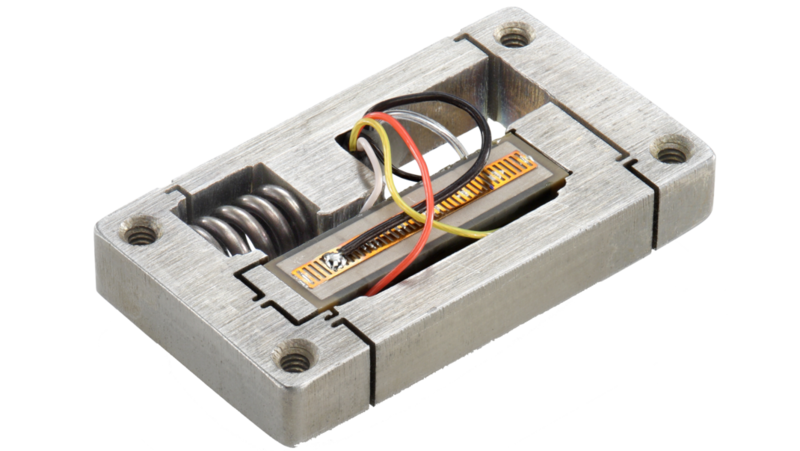 The struts are driven by PiezoWalk® piezo linear motors. 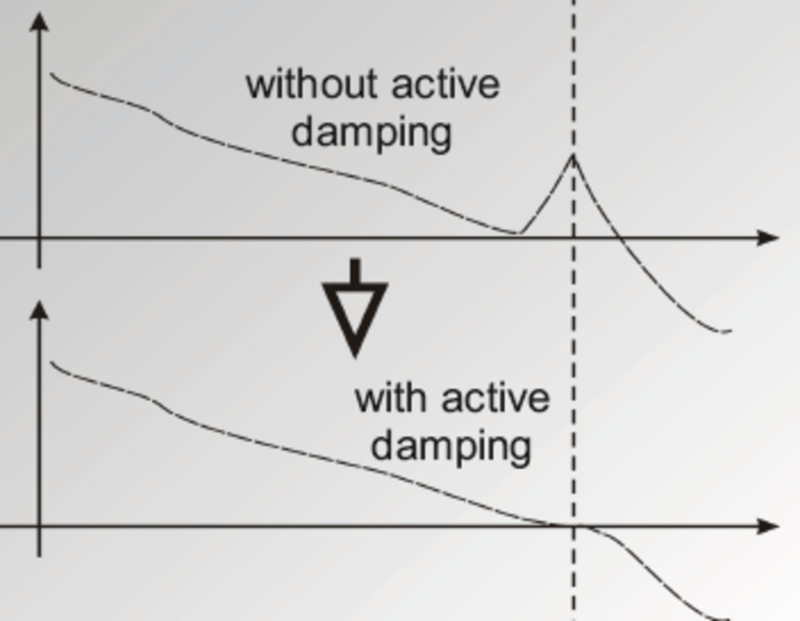 PiezoWalk® technology is well proven for high-vacuum applications. Four 4-finger actuator-double-modules are combined in one drive section. 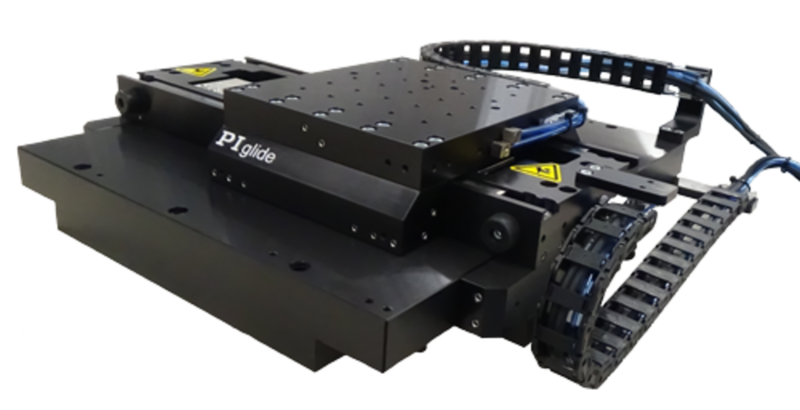 In order to prevent any unwanted deformation, the actuators are placed in a pre-loaded flexure-guided frame. The operating principle of a PiezoWalk® linear motor is shown left. 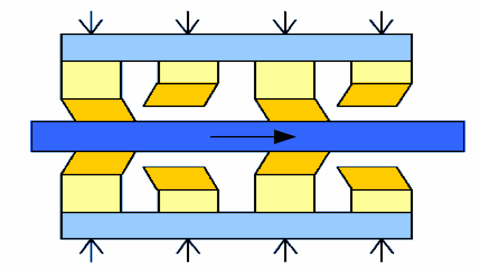 Motion is generated through a succession of coordinated clamp/unclamp and expand/contract cycles. Each cycle can provide steps from a few picometers to a few microns of linear motion. With repetition rates of up to 100’s of steps per second, continuous motion up to a few mm/sec can be achieved. 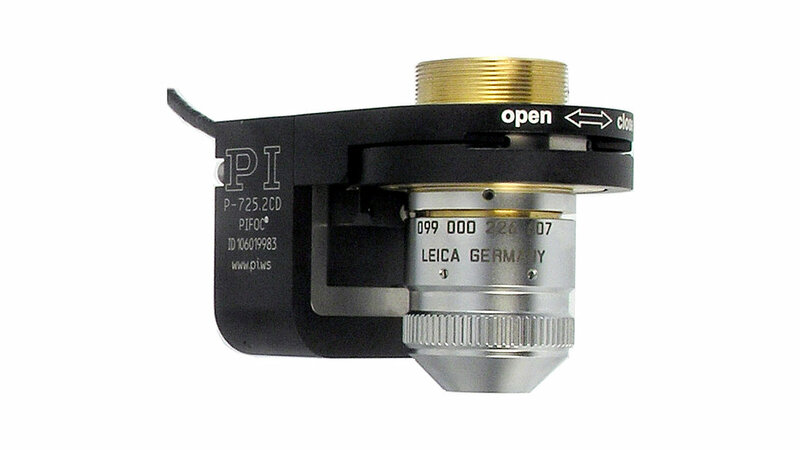 Position feedback is based on high-resolution Heidenhain optical incremental sensors. The LIA21 and LIP481U series of encoders is designed for high vacuum applications. Heat dissipation is one of the drawbacks due to the LED and the sensor electronics. This would lead to an expansion of the sensor flange and the surroundings. Therefore, the sensors were placed on Invar flanges as a reference while increasing the distance to the surrounding material as much as possible. 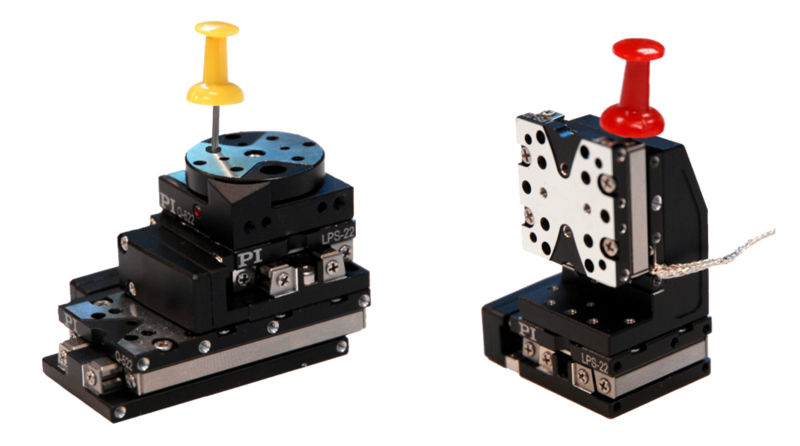 The PImiCos planar/tripod system (SpaceFab) is a 6-DOF manipulator consisting of three X-Y stages mounted on one reference plane and three passive struts. The advantage of such a setup is the large and well-defined planar motion range in both the X and Y direction. It can be designed with a low profile height to fit into small vacuum chambers. The system can be reconfigured with different linear motion axes (X-Y stages) and the number of three times 2-DOF joints is small compared to other 6-DOF systems. Such systems are placed in semiconductor inspection tools. Different UHV-compatible drive systems are available, from ceramic inertia motors to stepper motor / screw drives. Operation in open-loop and closed-loop, with linear encoders for position feedback, is feasible. The three joints, consisting of saphire and hybrid bearings (ceramics and stainless steel), are used in the three rotation axes on the struts. For optimum UHV compatiblitiy, wires are crimped instead of soldered. For UHV applications and high plasma stream influence, it is advantageous to shift all active parts and electronics out of the vacuum. 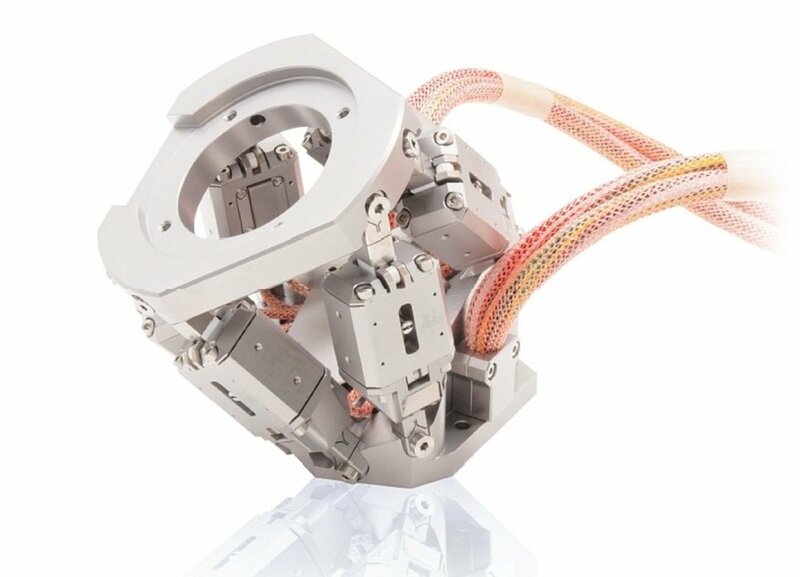 This is feasible using 6-DOF hexapod systems with passive struts and linear guided joints mounted perpendicularly to the flange of the vacuum chamber. Because of the pure linear motion of the joints, metal-bellows can be used to seal the vacuum. A variation of the constant-strut-length hexapod design is the integration of additional active damping elements. Pre-loaded piezo actuators are placed inside the six struts and a newly developed 6-Axis vacuum-sealed acceleration sensor was placed at the platform. Piezoceramic actuators, unlike conventional motors, do not require lubricants and are well suited for extreme vacuum. Using PI’s digital modular controller for the 6-DOF transformations, damping factors in excess of -20dB for multi-directional vibrations were achieved. Parallel kinematics positioning systems are available for high vacuum and high accuracy applications. Use of vacuum compatible material, drives, and sensors was discussed. With linear guided hexapod systems, the implementation of 6-DOF vibration damping inside the vacuum is feasible.